This booklet, by Trevor Miller, looks at the ways in which Dietrich Bonhoeffer has been an influence on our Community. 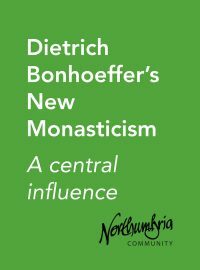 A Lutheran Pastor in the Confessing Church in Germany in the 1930s, Bonhoeffer’s early exploration of Community and New Monasticism was cut short by the Nazi regime, but his writings have lived on. 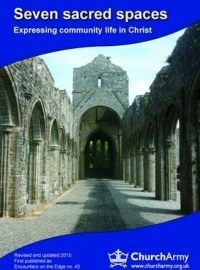 In this booklet Trevor helps us to make the connections between Bonhoeffer’s life and work and our own journey as a Community. 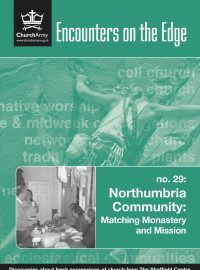 George Lings 'accompanied' the Community during 2005 (as part of 'Building Bridges of Hope') and has written this very helpful exploration of where the Northumbria Community fits into the 'fresh expressions of church' scene today. He examines particularly the Community's balance between the interior life ('monastery') and its outward expression (mission'). George Lings concludes: If the need today is for deep people then here is the portal to inner attentiveness in following Jesus and the painful but liberation process of being transformed by Him.' This booklet is part of the Encounters on the Edge series. 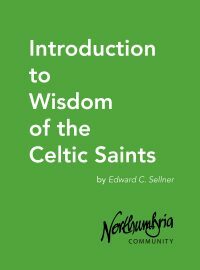 A downloadable PDF version of the booklet is also available. 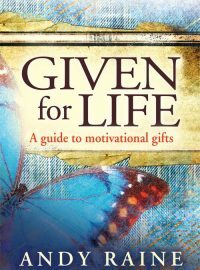 A guide to motivational gifts by Andy Raine, one of the founders of the Northumbria Community. 'It is not what you do but the underlying WHY that you do it that betrays who you are.' Are you a 'prophet', 'ruler', mercy', server', teacher', 'exhorter', or 'giver'? In this highly acclaimed and lyrical book, the best-selling author Barbara Brown Taylor reveals the countless ways we can discover divine depths in the small things we do and see every day. People go to extraordinary lenghts, she writes, to discover this treasure. 'They will spend hours launching prayers into the heavens. They will travel half way around the world to visit a monastery in India...The last place most people will look is right under their feet, in the everyday activities, accidents and encounters of their lives...the reason so many of us cannot see the red X marks the spot is because we're standing on it.' 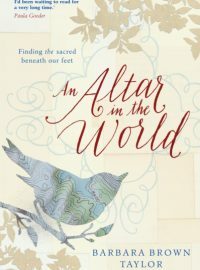 An Altar in the the World shows us how heaven and earth meet in such ordinary occurrences as hanging out the wahing, doing the supermarket shop, feeding an animal, losing our way. It will transfrom our understanding of ourselves and the word we live in and renew our sense of wonder at the extraordinary gift of life. 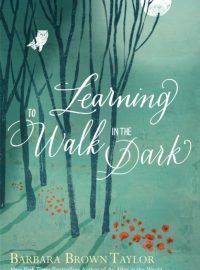 New from best-selling author Barbara Brown Taylor, perhaps best known for An Altar in the World, comes Learning to Walk in the Dark. In this hardback book she writes with wisdom, grace and beauty as she seeks to rehabilitate what we have learned to fear - the dark. Here she reflects on how our lives do not only work when everything is brightly lit; twilight and deep darkness have treasures of their own waiting to be discovered. Babara Brown Taylor writes: 'Darkness is shorthand for anything that scares me - either because I am sure that I do not have the resources to survive ti or because I do not want to have to find out. If I had my way, I would eliminate everything from chronic back pain ti the fear of the devil from my life ad the lives of those I love. At least I think I would. The problem is this: when, despite all my best efforts, the lights have gone off in my life, plunging me into the kind of darkness that turns my knees to water, I have not died. The monsters have not dragged me out of bed and taken me back to their lair. Instead, I have learned things in the dark that I could never have learned in the light, things that have saved my life over and over again, so that there is really only one logical conclusion. I need darkness as much as I need light. Learning to Walk in the Dark is a wise spiritual companion and guide for those times in life when we don't have all the answers. Recognising our tendency to associate all that is good with light, and all that is evil and dangerous with darkness, Barbara Brown Taylor asks whether God doesn't work at night too? With her characteristic grace and generosity, she invites us to put aside our fears and anxieties and to discover all that the darkness has to teach us. She takes us to underground caverns, subterranean chapels, basement night clubs and unlit cabins in the woods on moonless nights. Through darkness, we begin to see the world and sense God's presence around us in new ways, guiding us through things seen an unseen, and teaching us to find out footing in times of uncertainty. Like seeds buried in the ground, we will find how darkness is essential for our own growth and flourishing. 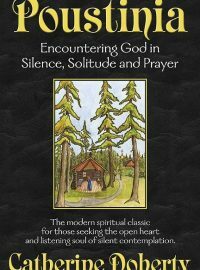 This book (fundamental to the Community) by Catherine de Hueck Doherty explores the heart of drawing apart to a meeting place with God. Poustinia, a Russian word, means 'desert'. Men and women who desire communion with God can discover how the poustinia powerfully fulfils their yearning. Readers are invited to leave the noise and harried pace of daily life to enter a place of silence and solitude. The author writes from her own experience with refreshing and startling Christian authenticity and a strong personal sense of spiritual authority. Thoroughly researched, this ground-breaking and eminently readable book is an account of the lessons learned from groups seeking to work with those who have left evangelical, Pentecostal and charismatic churches but who are nevertheless pursuing a journey of faith. 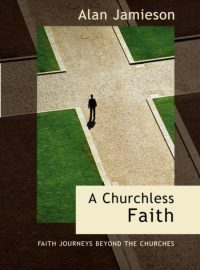 It outlines some of the supportive structures and one-to-one help that churches can offer leavers, and suggests that a conversation between post-church groups and churches would be of considerable value to all. 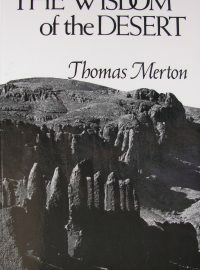 The Wisdom of the Desert was one of Thomas Merton's favourites among his own books - surely because he had hoped to spend his last years as a hermit. 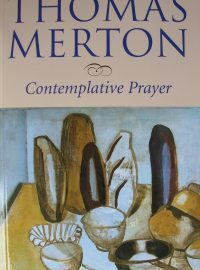 The personal tone of the translations, the blend of reverence and humour so characteristic of him, show how deeply Merton identified with the legendary authors of these sayings and parables, the fourth century Christian Fathers who sought solitude and contempation in the deserts of the Near East. The hermits of Scete who turned their backs on a corrupt society remarkably like our own had much in common with the Zen Masters of China and Japan, and Father Merton made his selection from them with an eye to the kind of impact produced by the Zen mondo. 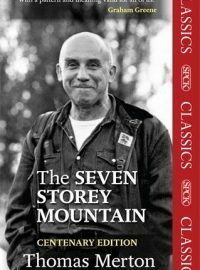 The complete and unedited edition of Thomas Merton's famous autobiography, one of the greatest works of spiritual pilgrimage ever written. 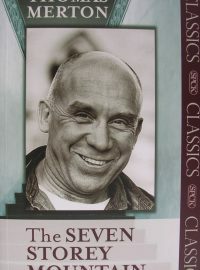 Thomas Merton (1915 - 1968) was a Trappist monk, writer, peace and civil rights activist.